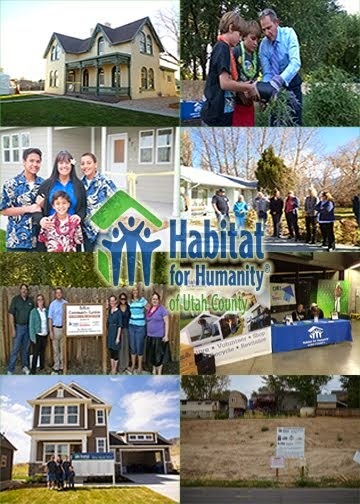 Habitat for Humanity of Utah County: Congratulations Aleman Family! Habitat Breaks Ground for First Home at Washburn Reams! Congratulations Aleman Family! Habitat Breaks Ground for First Home at Washburn Reams! Habitat for Humanity of Utah County held a groundbreaking ceremony for the first of three homes at its Orem Washburn Reams Estates Project. The three bedroom home is being built with Hugo and Flora Aleman and their three young children and is being sponsored by TD Ameritrade and IM Flash Technologies. Employees from both companies will be volunteering their time to help with construction at the project home. This will be the sixth Habitat home that the TD Ameritrade has helped to sponsor and build with the local Habitat affiliate. Additionally, this is the second local Habitat home that IM Flash Technologies has sponsored and built. We truly appreciate these companies ongoing service and generosity!